Welcome back to the 12 DIYs of Christmas! 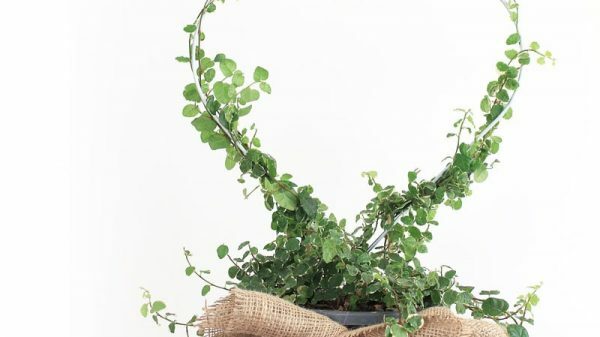 Today’s DIY uses a simple macrame knot to create a macrame heart garland you can add to your tree, mantel or anywhere you like. Once you get the hang of tying this macrame heart knot, it should only take a minute or so to tie each one, making this a fairly quick DIY (depending on how long you’d like your garland to be)! Rope, such as cotton, macrame or other. Take a length of rope and create a loop with the loose end on top of the end held in the left hand. Thread the loose end back through the loop, don’t pull tight. Thread the end back down under the loop, don’t pull tight (or the loop will come undone). Then thread the end over the bottom loop. Over the middle thread and under the higher thread. Begin to pull the knot tighter. At the moment it may not look like a heart! As it tightens, the heart shape will form. It may take a few goes to practise getting the heart shape. 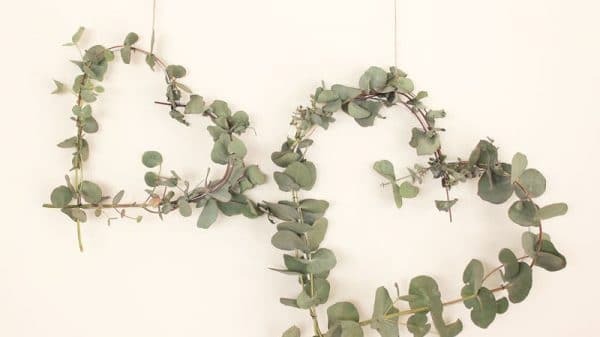 Now you’ve learnt the basic macrame heart knot, its time to add multiple ones to your garland. Start at one end of your rope and tie the first heart knot. Move further along and tie another, marking with a pin if necessary the distance apart you’d like them. Once you’ve tied the next heart, adjust the distance by pulling the rope through. Making macrame heart garlands is a little bit addictive and is one of those activities you can do while watching TV or doing other things.